Buying one device and get three function. 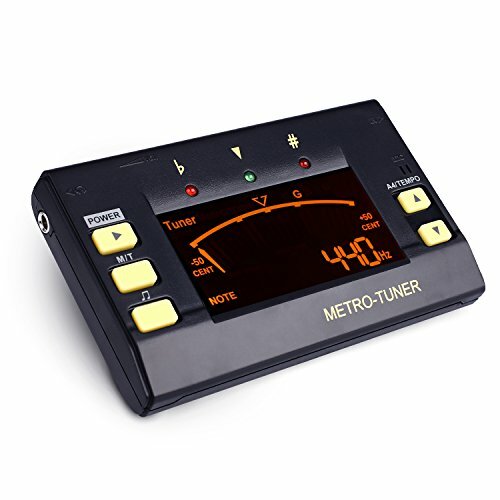 This tuner can be also used as a metronome and tone generator. It is a universal guitar tuner, by selecting tuning modes, it can be used for Chromatic, guitar ,bass, violin,ukulele. This tuner has a clip-on pickup and built-in microphone to guarantee excellent performance in nosy environment. It also has a headphone jack that you can use to not disturb others, and a little kickstand in the back to help the product stand up. Bigger buttons for big hands.38% bigger screen rate than overage.